It's been said that in teaching others, we teach ourselves. It's a powerful cycle that's playing out at Stevens Institute of Technology, where Keith Sheppard, professor in the Department of Chemical Engineering and Materials Science, is leading a team to revamp how STEM educators teach today's college students. Dubbed "FOUNDATIONS: Integrating Evidence-Based Teaching and Learning Practices Into the Core Engineering Curriculum," the project is funded through a $2.8 million, five-year grant awarded in 2015 by the National Science Foundation (NSF). The initiative is helping Stevens researchers assimilate and integrate the latest evidence-based, active learning methods to improve understanding and retention in Stevens' classrooms, and document their work so other research universities can do the same. The transformational project is focused on core mathematics, science and engineering courses all Stevens engineering undergraduates take in their freshman and sophomore years. Science and computer science students also take some of the math and science courses. "This program demands that students take responsibility for their learning," Sheppard says. "They have to adapt how they view the learning process." The Foundations team also includes Frank Fisher, professor in the Department of Mechanical Engineering; Patricia Holahan, professor in the School of Business; Susan Metz, Stevens’ chief diversity officer; and project manager Gail Baxter, assistant director for research at Stevens Center for Innovation in Engineering & Science Education. "Every year we engage a new cohort of faculty members who teach these courses," Baxter explains. "They meet monthly to discuss the latest research, share ideas and participate in workshops with outside specialists. It’s a strong way to build expertise and a community of practice." The faculty members know this work has implications far beyond a semester or two of classroom time. "We want to create independent learners," says teaching associate professor Patricia Muisener, who teaches and coordinates foundational chemistry courses, "and help them understand they can use these concepts and skills in other disciplines." "Students are re-learning how to learn," Metz agrees. The first step? Incorporating more interactive learning opportunities. "In college and grad school, thermodynamics was one of the hardest subjects for me to grasp," says assistant professor Stephanie Lee, who teaches a foundational thermodynamics course. "When I began teaching it in 2013, I sought ways to make abstract concepts more accessible through in-class demonstrations and tools to engage students in critical thinking during lectures. I try to establish an open and welcoming classroom where students feel comfortable asking questions and approaching me for help." The faculty members constantly challenge themselves to promote deeper learning. "Students solve problems in a group," says teaching assistant professor Alexander De Rosa, who teaches foundational thermodynamics and engineering courses. "At the beginning of the semester, I ask them what they know and what they want to learn. Then we do a concept map explaining what they know about thermodynamics and how it links to their other courses. At the end of the semester, we redo the map so students can track what they’ve learned. They’re encouraged to see their progress. They like our interactive sessions and the more informal atmosphere. They engage more—and I engage with them more, too, which I like." "I also use concept maps, as well as a pre-class worksheet to pique students' interest in the material, and weekly open-book quizzes to help them self-assess their progress," says Muisener. "We’ve restructured the class to focus on guided inquiry and having students interact with the material. Students are required to review pre-class notes and videos, and during class time they answer questions, discuss key concepts and work in groups to solve problems. Students now appear to be more engaged and ask more questions during class." "We have also employed peer leaders—students who have successfully taken the class before—to circulate and help students answer questions and solve problems in the worksheets," Muisener adds. "When students learn something they will need later, they understand it's not being done in a bubble, and they can chart their progress," Sheppard says. "Mapping can also help us as we assess their learning throughout their Stevens career." The result? Students who are better prepared to succeed in school and beyond. "We're already seeing that a student's success in solving a thermodynamics problem improves significantly after solving a related calculus problem," Lee says. "I hope we will empower students to approach problems holistically and promote deeper learning." "Peer leaders are always answering questions both in and out of class," says Muisener. "Students feel more comfortable asking questions and they understand why they need to master certain materials." As encouraging as that feedback is, challenges remain. "Implementing and sustaining change can be difficult," Baxter says. 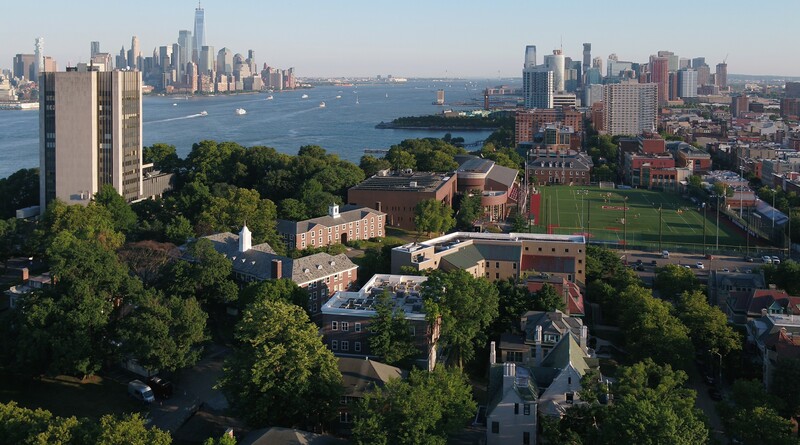 "We've partnered with Susan Lowes at Teachers College, Columbia University, to evaluate our progress. We’re analyzing limiting factors. Every year we interview the faculty cohorts, department chairs, deans and even the vice provost for academics. We're working hard to get a thorough sense of all possible roadblocks so we can plan to overcome them." "The project is initially taking a bottom-up approach to engage a critical mass of faculty in adopting and mastering the new teaching and learning methods," says Holahan, an expert on institutional culture change. "As faculty realize and document success in student outcomes, we plan to publicize these successes to engage a larger number of faculty. However, we also need a top-down component for sustainable culture change—that is, institutional values, policies and practices need to be aligned with, and support, the expected culture change." "We have a significant opportunity to persuade students that this is a better way," Fisher adds. "It may seem different, but in the long term it's going to be much better for them in transferring knowledge to other courses and applying their learning to the practice of engineering." Stevens shared initial results from the Foundation project as part of the NSF grant poster display at the American Society for Engineering Education annual conference last June. Some faculty members are gearing up to prepare presentations on the work they've done and want to continue as research projects, because as they work to improve the students' experiences, they're excited to be learning as well. "Joining the Foundations cohort in 2016 helped me place my course in the broader context of my students’ curriculum and think more about thermodynamics as one critical component in training for their career," says Lee. "Teaching at Stevens is about improving my courses and the students' learning experience," says De Rosa. "We want to enhance Stevens' effectiveness with the latest, greatest methods in delivering content. We want to increase student outcomes and provide real, lasting benefits."